Draped in a silky Ecuadorian Connecticut wrapper, this unique blend comes to life with its Honduran binder and hand selected fillers from Nicaragua and Dominican Republic. Earn up to 140 Points Points. Draped in a silky Ecuadorian Connecticut wrapper, this unique blend comes to life with its Honduran binder and hand selected fillers from Nicaragua and Dominican Republic. AJ Fernandez delivers another masterpiece. 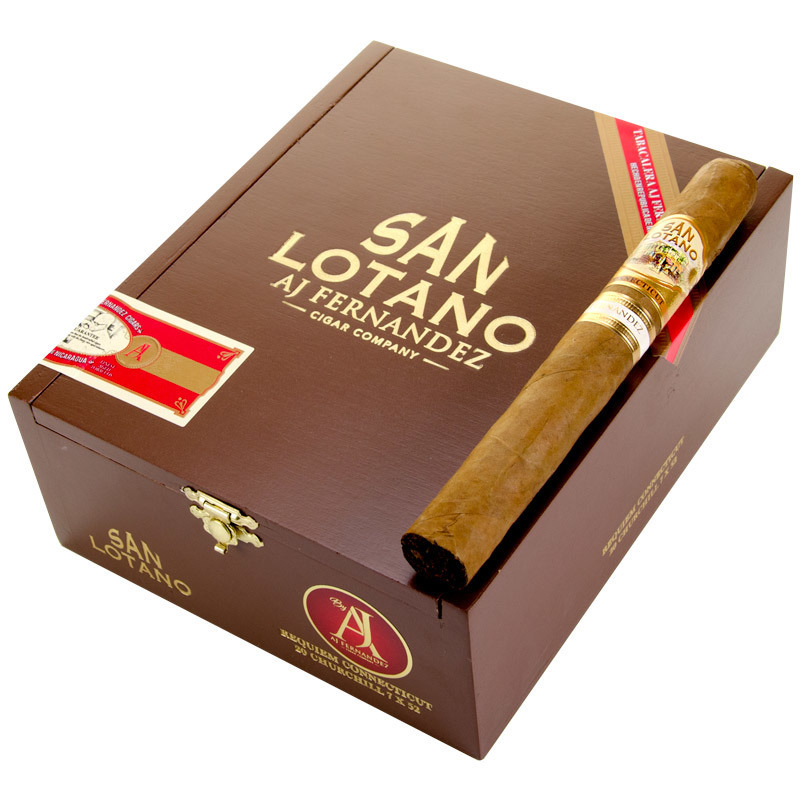 San Lotano Requiem Connecticut cigars by AJ Fernandez are a must smoke for mild-bodied cigar fans. Using only premier fillers fermented to perfection, the Connecticut is a flavor blast while not becoming overpowering for a perfectly balanced cigar. The centerpiece of the Connecticut blend is its rich, flavorful, yet exceptionally smooth Ecuadorian Connecticut wrapper. Order some of these mind-blowing, luxury-class cigars NOW. Expect to be greeted by rich notes of cream, nuts, wood and white pepper.